$7.00 plus $3.00 per activity. Discounts for Combo Packs. Children under 5 skate at a discounted rate. Group rates are available. Please call or email us with details about your group for a rate quote. Do I have to pay an admission fee if I am not skating? Only if you are under 18. This is strictly enforced on weekend nights. We accept cash, credit card and debit card. We do have an ATM available on site. 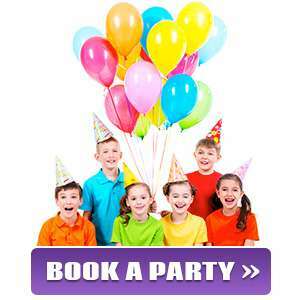 For party payments, we also accept online payments by PayPal. How long can I skate? Admission is valid for entire session. Can I bring my own skates or roller blades? What type of skates do you offer for rent and what sizes are available? We have inline skates and regular roller skates available in sizes that run from a toddler size 9 up to an adult 15. We also offer a limited amount of toddler skates that fit over their shoes. No. Skating indoors provides a smooth, clean, well-maintained skating surface. Because it remains in a controlled environment, the skating area is free of debris and obstacles, eliminating high risk factors for injury. The use of helmets, knee, & elbow pads is optional. Is roller skating the only entertainment offered? There’s lots more fun to be had in our arcade area. The majority of the arcade games are redemption – children win tickets to purchase prizes. And let’s not forget the live music and skating games! You bet! We have a full Snack Bar, offering ice cold soda,cookies, & pizza, burgers, chicken sandwiches, popcorn, candy, icees, & more! Parents are not required to stay with their children unless they are under 8 years of age, but are welcome to stay and have some fun as well. The rink is always supervised, however, please remember this is not a day care facility. Minors are not allowed to leave without an adult. Am I allowed to bring in our own snacks, food and/or beverages? No outside food and/or beverages are allowed to brought onto the premises. Our Skate Cafe is open during the rink hours. Can we bring in our own birthday cake for our party? Yes. We do not provide a birthday cake in our party packages. What types of food are available for purchase? The Skate Cafe offers appetizers, sandwiches, pizza, carnival fare, snacks and soft drinks. Do you have lockers available for rent so I can lock up my valuables while I am skating? Yes, we do have a limited supply of lockers available to rent.